Jules (Drayton, United Kingdom) on 28 December 2015 in Landscape & Rural and Portfolio. Kelpie, or water kelpie, is the Scottish name given to a shape-shifting water spirit inhabiting the lochs and pools of Scotland. It has usually been described as appearing as a horse, but is able to adopt human form. Ah, not one I was expecting - but a good addition to the set. Congratulations on the Spotlight Jules! Very well deserved! Good to see this set find a place in the Spotlight - excellent photowork ! brilliant image, clever choice for the spotlight! congratulations ! wow...incredible capture ...! Congratulations on the Spotlight ! Congratulations on a well deserved SPOTLIGHT! Love this. 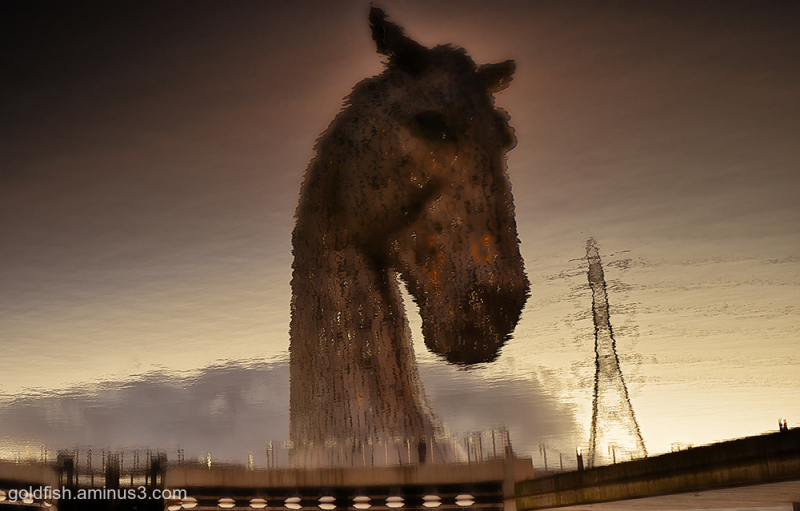 Have been to see the Kelpies and took some photos but nothing as good as this one.